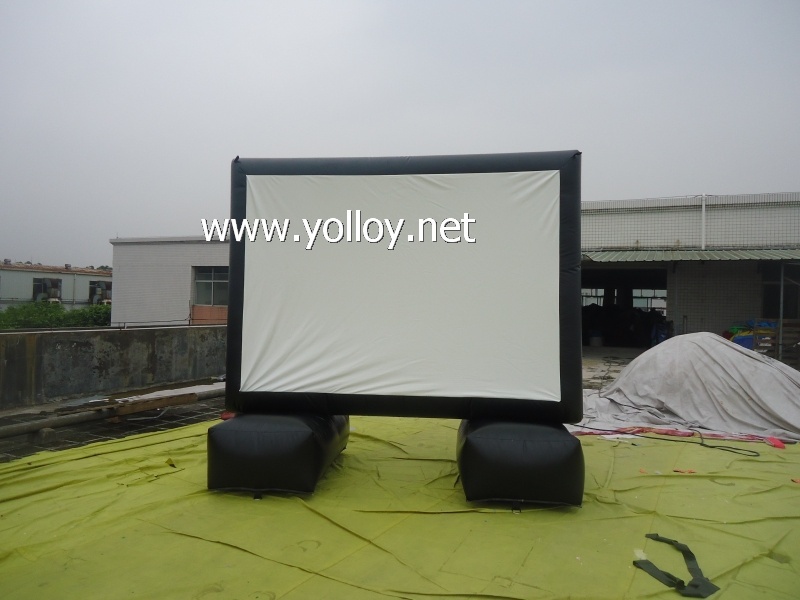 Are you need a outdoor movie screen quickly set and erected in minutes, safe and stable, this Inflatable Movie Screen would help you solve the question easily. The inflatable movie screen needs a blower to keep blowing while you're using it. Material we used for the framework is commercial grade PVC tarpaulin, which is very durable, UV-resistant, fire retardant and non-toxic. The projection screen is professional projection material which is white in front, black backside, and suitable for projection display. We accept customized size and design. Should you have any requirements for this product, please feel free to let us know.